For years, scientists and power companies have looked for ways to reduce emissions from coal-fired power plants. The companies have installed scrubbers. But they don’t take care of some of the emissions, such as mercury, sulfur dioxide and nitrous oxide. The owners of the Milton R. Young power station near Center are trying something new to help cut down on those emissions. As Prairie Public’s Dave Thompson reports, the new technique uses chemicals to reduce emissions. Plans are in the works for a nitrogen fertilizer plant to be built near Jamestown. CHS, Incorporated – a farmer-owned cooperative – says it wants to build the plant at Spiritwood. It would be a $1.1 to $1.4 billion facility, using North Dakota natural gas to make anhydrous ammonia and other fertilizers. "This would be a significant strategic investment for CHS," said Cooperative CEO Carl Casale. "It's the largest investment in the history of CHS. And we believe it would insure a consistent domestic nitrogen fertilizer supply for our farmer-owners." The Public Service Commission has approved the route of a new 345 kilovolt power line in eastern North Dakota. The line is part of the CapX-2020 project. 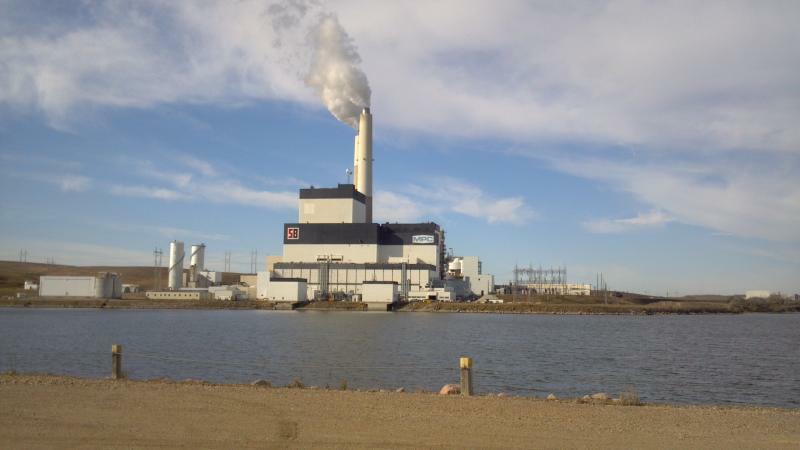 It’s designed to improve reliability for power customers in the Red River Valley. The line will cross the Red River just north of Oxbow, and runs south of Horace and north of Davenport, where it veers north to a new substation to be built north of Mapleton. The Commission vote was two to one. Commissioner Kevin Cramer was the lone "no" vote. The Public Service Commission will be asking for another position for the next biennium. That story from Prairie Public's Dave Thompson. The PSC says it needs another pipeline inspector. The Public Service Commission has okayed the North Dakota portion of an unusual pipeline project. The story from Prairie Public's Dave Thompson. The pipeline will take a byproduct of natural gas – ethane – that’s captured at the Hess plant at Tioga to a processing facility in Alberta, owned by Nova Chemicals. It’s a 430-mile pipeline – 80 miles of which are in North Dakota. 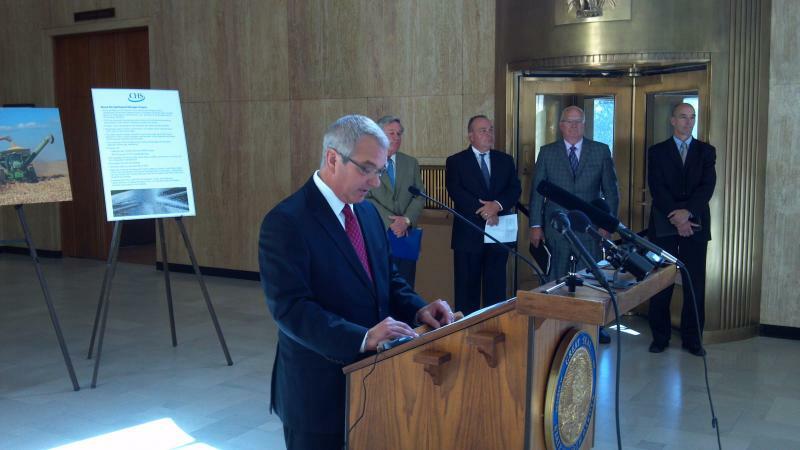 "Nova processes the ethane and uses it for polymers and plastics," said Commissioner Kevin Cramer. "A lot of food packaging, styrofoam and things like that." An investor-owned utility and an electric co-operative have reached what’s called a “service area agreement” – to serve customers in Kenmare. As Prairie Public's Dave Thompson reports, state regulators still have to approve that agreement. Under the agreement, MDUand Burke-Divide Electric Cooperative would divvy-up the customers. The area is in the oil patch. And the agreement must be approved by the state Public Service Commission.